Ever since man harnessed the power of fire, the concept of a fireplace as a central feature in a home has been vigorously pursued. Today the appeal comes in its heating properties rather than the kitchen hearth. Typically, today’s most popular fireplaces are the traditional brick and mortar design, gas, cast iron or electric ones. Each option has its merits, providing a unique experience within home decor and its performance in line with what homeowners seek from their hearths. Obviously, the home’s style plays a significant role in dictating an appropriate fireplace. Traditional fireplaces offer homes with a decorative focal point and can become a selling point for buyers seeking out a touch of a gentler era amid the helter-skelter of fast-paced modern living. They are also energy efficient and sustainable as they consume dry wood rather than electricity and, in leafy neighbourhoods where trees are regularly trimmed, the cut wood is often left on verges for consumption as firewood. 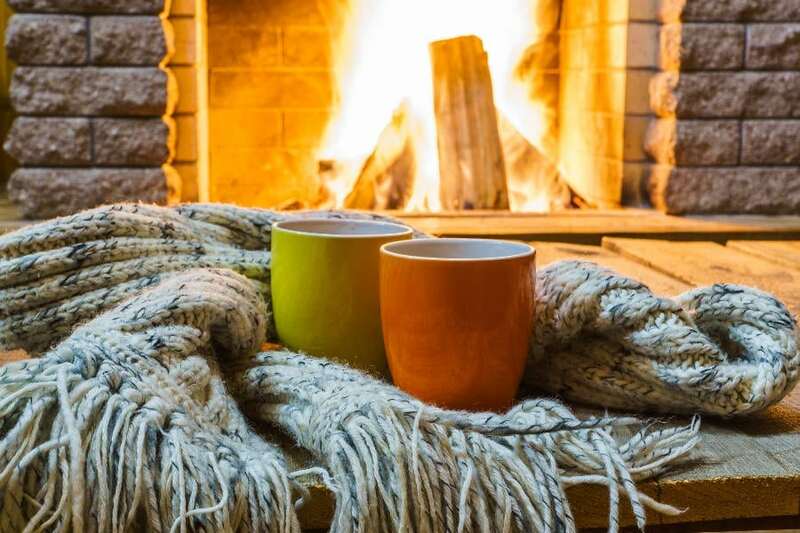 However, the disadvantages of traditional wood-burning fireplaces are the high maintenance levels required in cleaning the grate and sweeping the chimney; the requirement for storage space for the logs and the extra vigilance when living with an open flame and hearth. An alternative that still provides the beauty of woodburning, is enclosed fireplaces. Calore CEO Paolo Carlone says the sunlight feeding trees effectively creates the world’s oldest solar batteries in the form of biomass, and biomass energy can be released by incinerating plant material. However, unlike burning fossil fuels, biomass is renewable within human time – decades or centuries – while fossil fuels require millennia to rejuvenate. He says the popularity in the eco-conscious European market has seen a shift towards biomass pellet stoves and manufacturers have the responsibility to change consumer behaviour by offering greener energy alternatives. These fireplaces warm up a room as swiftly as flicking the switch. Gas fireplaces typically burn more cleanly and create more heat at a lower cost. Like electric fireplaces, they’re much easier to install. Electric fireplaces don’t generate the same heat strength as traditional or gas fireplaces, but are eco-friendly and energy efficient since they don’t emit any fumes. They also don’t require installing chimneys or ventilation systems and are ideal for tenants unwilling to invest in infrastructure to a home they don’t own. Cast-iron fireplaces – or potbelly stoves – are the answer to heating up smaller homes as their design traverses every shape and size and they can be placed virtually anywhere provided there’s the required ventilation to a chimney or directly outside. Hydrofire owner Kristo Nikolov says stainless-steel options offer a sleek, modern look and better shaping in design. “In contrast, many cast-iron models have an old-fashioned charm and is an especially suitable material for fireplaces because it retains the heat longer than traditional fireplaces and emits a steady warmth long after the fire has died,” he says.